The first thing we did when arriving was to have lunch in the "Sevens" gallery, which you can see in the first picture. In this gallery you can find quite a few restaurants and snack bars and we decided to get our meal at the Asian restaurant "Fusian". I had the best chicken curry ever (see 2nd picture) and I wouldn't want to try any other restaurant on my next trip to Düsseldorf. On our way to the city centre we passed the "Königsallee", called "Kö", where all the expensive shops can be found. It was also on this boulevard, where we entered the biggest Douglas store I´ve ever seen, opulently decorated for Christmas and full of exquisite products. This store was the forerunner for what we should see in this city, as every store over there is bigger and better than elsewhere in Germany. Besides entering some more "casual" stores in the city centre, like Gina Tricot, C&A, Mango or H&M, we also went to our main destination: Karstadt. Karstadt is one of Germany´s most known shopping centres and can be found in almost every German city. The reason why the Karstadt in Düsseldorf is something really special though, is that they sell Topshop pieces over there. If you live in any European country which is not the UK, then you know how awesome this is. 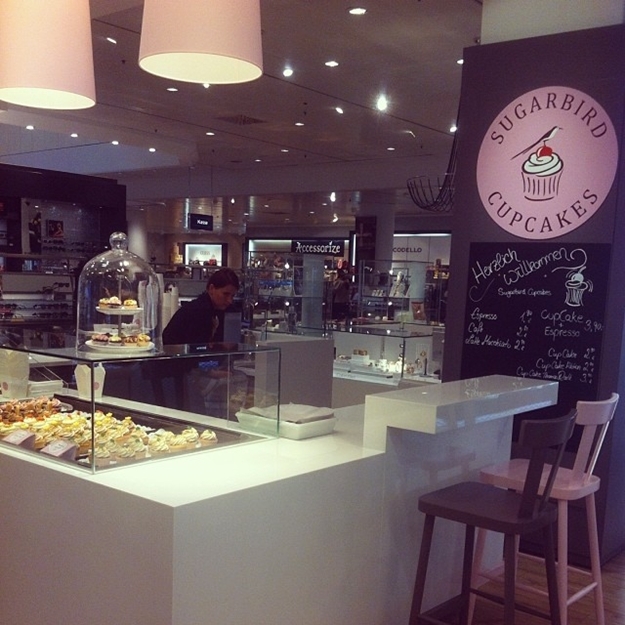 Also the sugarbird cupcakes, which you can see in the 4th picture, aren't available in my local Karstadt. Besides from totally checking out every single Topshop piece (and buying a dress which you can see here), I also kept a closer eye on the Fashion Hero pieces. Fashion Hero is the German equivalent to Project Runway but far less successful (Claudia Schiffer is just not Heidi Klum...). The designs from the series are being sold at Karstadt, s.Oliver and the German Asos but I think that Karstadt has been buying the best designs so far. Besides from buying Topshop clothes in Germany I experienced another premiere on my day in Düsseldorf, as it was the first time ever that I entered a Breuninger. Düsseldorf is known for being the city of rich people and suits so it's no wonder that you can find this exalted department store over there. (For those who don't know Breuninger or who can't imagine how it looks like, let me just say it's the German version of Selfridges or Galeries Lafayette). Of course we didn't buy anything over there and it was also the last stop on our short journey, but it was a really nice experience nevertheless. All in all Düsseldorf is just bigger and better and this definitely wasn't my last visit. In December they will finally get a Primark as well, which will complete the shopping paradise and make it worth a trip on all accounts. Even though I haven't seen much of the city itself I had the feeling that it´s a really clean and pretty place and already now it's one of my favourite top 3 German cities. Have you been to Düsseldorf or any comparable place that isn't a capital city? Which is your favourite German city or simply your favourite city for shopping? Hi Carmen, looks like a fantastic fun trip, the mall looks very posh, adore that cute coffee shop. The food looks great! Love the Kö! Sehr cool, ich war erst einmal ganz kurz in DüDo! 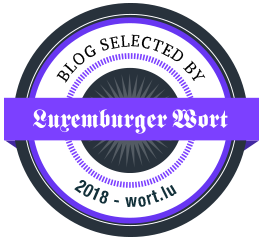 Everytime I read your blog I want to be in it! I'd love this place for sure! I know curry when I see it! I'm so jealous. The shops look so gorgeous and holiday-ish. I love the vibe from the Douglas store ah. oh dear, now I want a curry!!!! Have a great weekend Carmen! One thing really nice in Europe is that it is easy to travel via train. Looks like you had fun shopping. 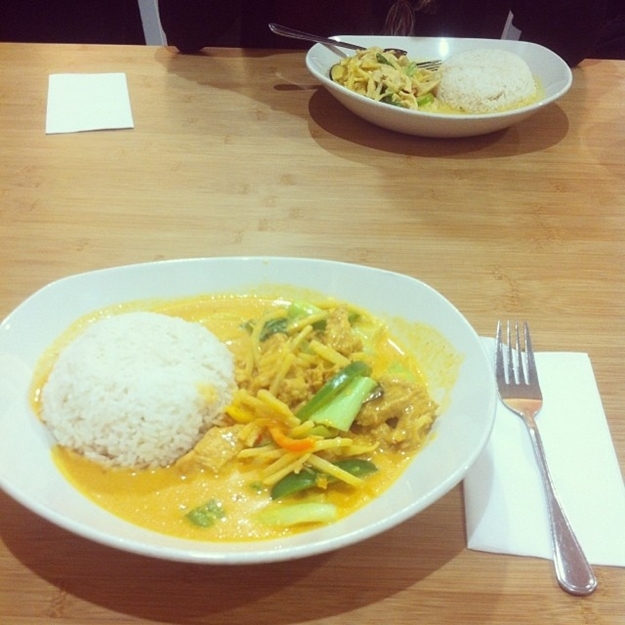 The rice with curry looks delicious.